For pure research and to blog more for Drink To Blog, Matt, Phae and I went to a beer tasting at the Beer Table recently. The guest talker was Chris Munsey of Murray’s Cheese. You can read about the stout tasting here. Before the stout tasting started, we were looking through the Beer Table menu. Matt saw it and pointed it to me. What did he point to? It was the legendary caramelized bacon that Phae had many months ago. It’s not on the menu all the time so you gotta get lucky. Apparently we were lucky that night. It was also what kept us at the Beer Table after the stout tasting. Heehee. 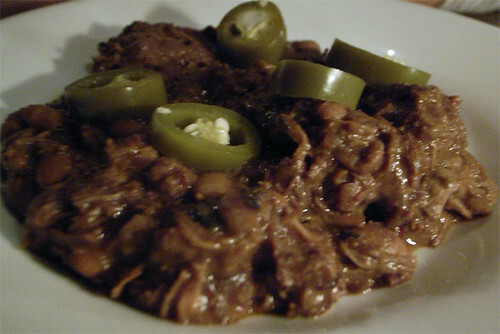 Phae got a plate of chili and we also shared a plate of bone marrows and pickled eggs. 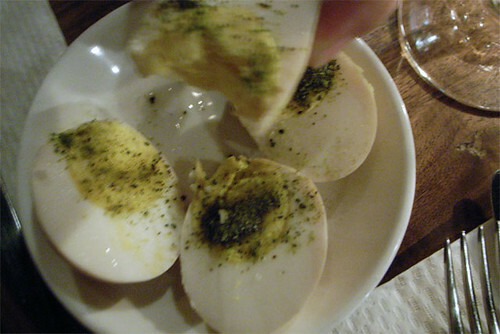 The pickled eggs were pretty good, weren’t pickled enough for me though. I had a bite of the chili and it was good too. 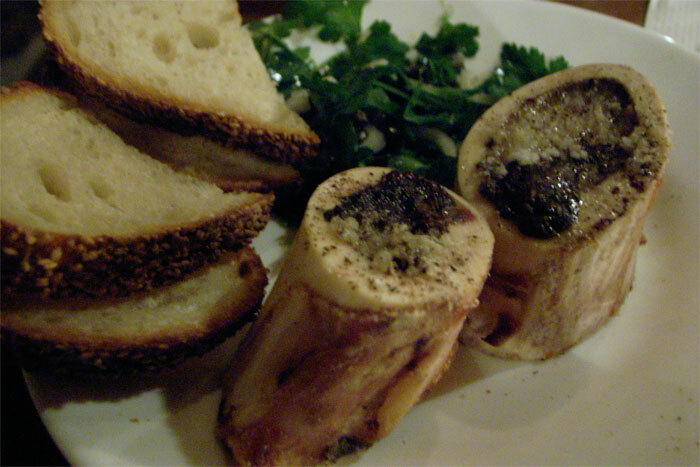 The bone marrow was damn nice. Marrow, toast, parsley hmmm yum. 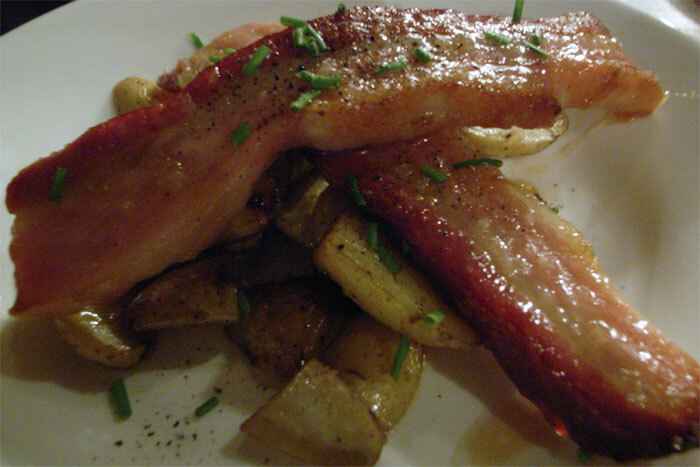 As for the caramelized bacon. I was just hoping that I wouldn’t be let down by the hype. It was 2 giant strips of bacon on a bed of potatoes. I sliced a piece of bacon and ate it. Ooohhhhh OOOHHHHHH OOOOOHHHHHHHHHH it was heaven. It was perfectly cooked and just enough sweetness. I felt guilty eating but not disgusted like a lot of times when I eat bacon. Also the potatoes had the same coat of sweetness. Nice.